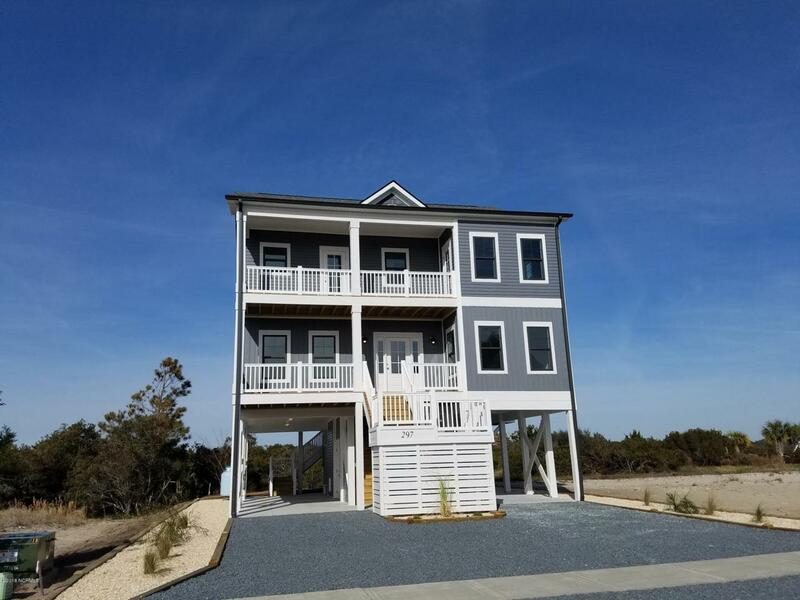 Custom designed new construction 4 bedroom, 3 bath home on Ocean Isle Beach island. 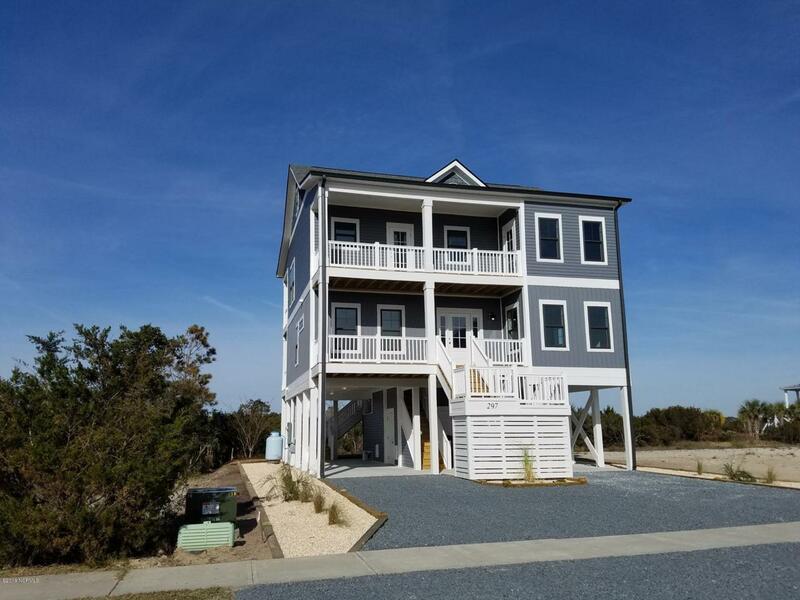 Amazing marsh and Intracoastal Waterway views from the back and ocean views from both covered front porches. On the ground level you have a huge outdoor shower with hot and cold water and an ample sized storage room to store all the beach toys. There will be engineered hardwoods throughout the home with the exception of the baths and laundry being ceramic tile. Bedrooms will be carpeted. There will be ceiling fans throughout. There is also an elevator shaft in place. The first floor living area offers two bedrooms and a Jack and Jill bath with dual vanities, and a laundry room. Also on the first floor is a large master suite with a custom tile shower, dual vanities with granite counter tops, and a walk-in closet. There is a covered porch off of the front and back of the first floor. The second floor living area consists of a kitchen, dining area, huge great room with a wet bar, and a bedroom that could easily be used as a second master suite. 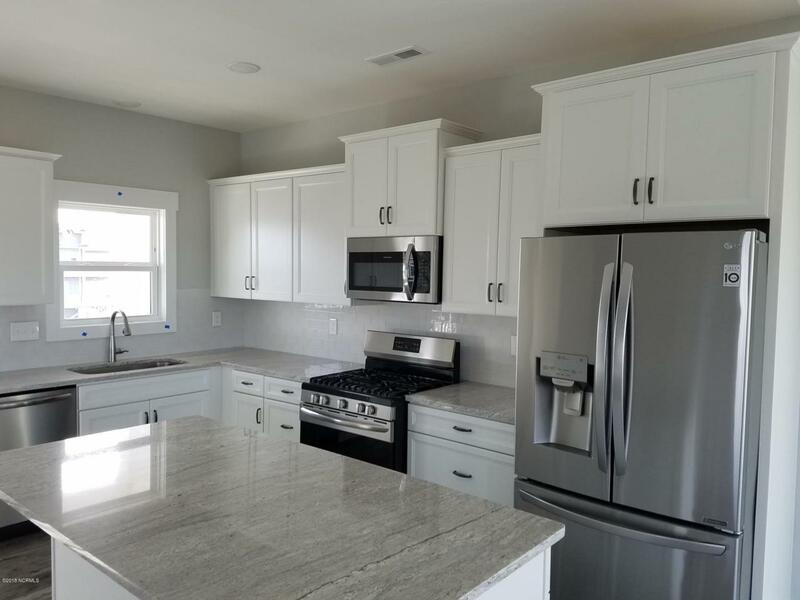 The kitchen features granite counter tops, tile backsplash, stainless dishwasher, built-in microwave and range. The second level also has front and rear covered porches. Conveniently located close to a public beach access. This is a home where you have the opportunity to make amazing memories with your family. 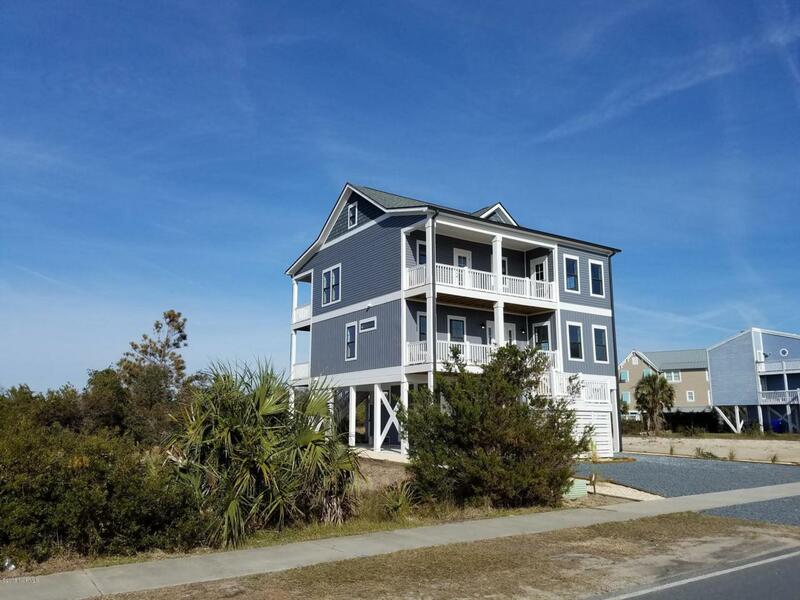 Ocean Isle beach is a favorite to many families who vacation here every year, and as such, the rental investment is something to seriously consider. Listing provided courtesy of David Enzor of Coldwell Banker Sea Coast Advantage. Accessibility None Auction No City Limits Yes Cobra Zone No Est Complete Date 2018-11-01 Federal Flood Insurance Available Yes Fuel Tank None Hoa And Neighborhood Amenities See Remarks Hoa YN No New Construction Yes Residential Sub Type Single Family Residence Secondary Subdivision N/A Stipulation Of Sale None Tax Year 2017 Terms CashConventional Water Sewer Municipal SewerMunicipal Water Zoning Res.